Uno Mas, a 68 Bayliss, is run by Capt. Tommy Lynskey. In addition to team owner Brooks Smith, team members include Jeremy Cubillo, Robby Biber, Mike Lemon, Sean Gallagher, Bill Haley and Ivanna Lynskey. 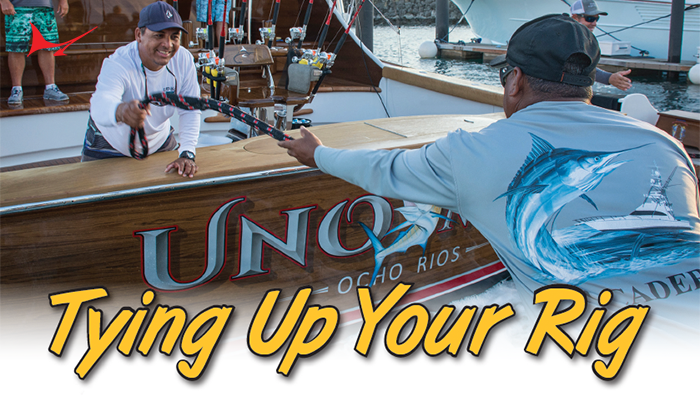 Visiting team Uno Mas gets the bites and scores more fish. 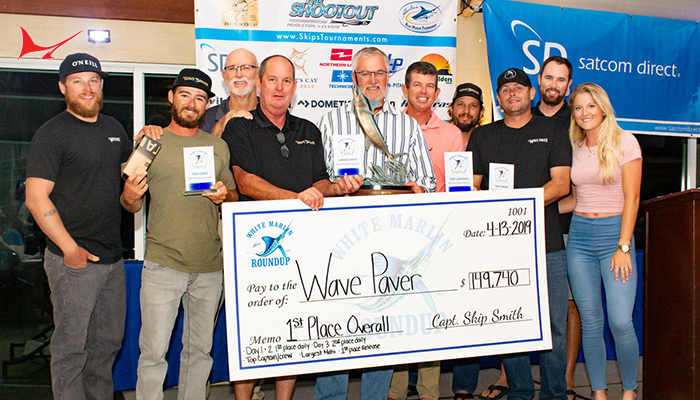 Two more, in fact, than its closest rivals, giving this veteran team the overall win in the 33rd annual Pirate’s Cove Billfish Tournament. 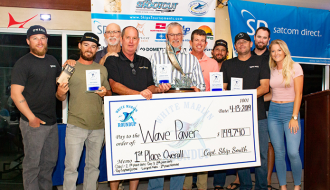 Owner/angler Brooks Smith was named the top tournament angler and the team earned a payout of $144,665 for 18 releases, including 11 white marlin, six sailfish and one blue. 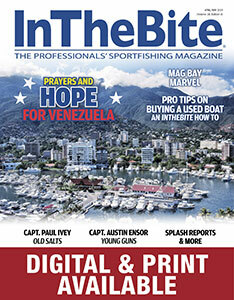 The 72 boats (464 anglers) competing this year were vying for a share of $612,000 in overall prize money. Uno Mas, a 68 Bayliss, is run by Capt. Tommy Lynskey. In addition to Smith, team members include Jeremy Cubillo, Robby Biber, Mike Lemon, Sean Gallagher, Bill Haley and Ivanna Lynskey. 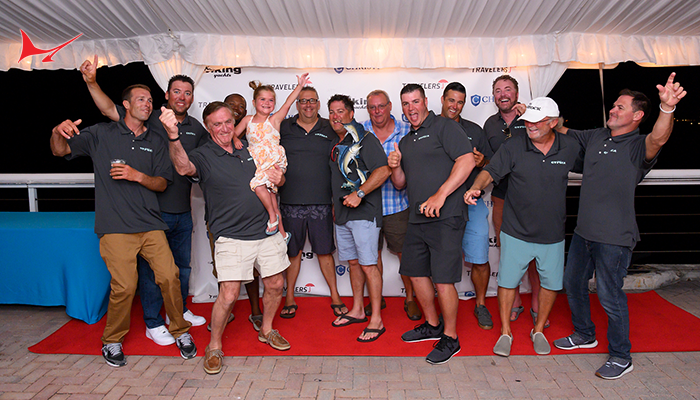 The boat has been a top contender in several previous PCBT events. Rigged Up, a classic 54 Omie Tillet with Capt. Charles Haywood at the helm, came in second with 1600 points, all on sailfish. Kevin Eller, Buddy Shipp, Sam Daniels, Aaron Martin and junior Maddie Daniels, together with mates Brian Oliff and Bryan Wilson, won $114,965. 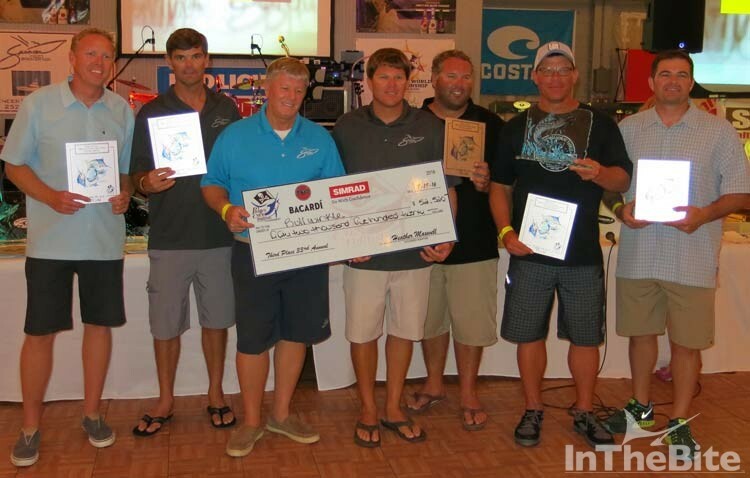 Those winnings came from the second-place points/boat, a first-place daily and the first fish on Day 3. Capt. Daniel Spencer led his team aboard Bullwinkle, a 57 Paul Spencer, to the third-place finish with 1,600 points based on time. Those efforts were worth $52,520. Pat Julian, Paul Spencer, Kit Purdy and Brad Wachowiak, along with mates Bennett Griffin and Michael Reash, released nine white marlin and seven sailfish for the week. Lo Que Sea, a 58 Paul Mann (Capt. 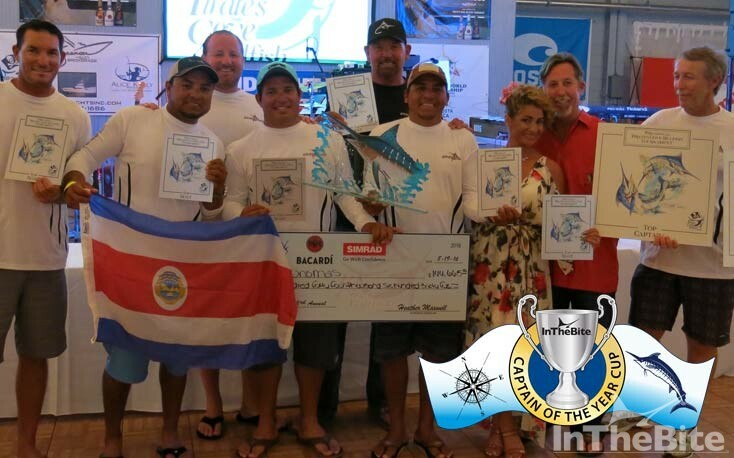 Keven Paul) earned fourth place honors and trophies by releasing 15 billfish. Jackpot, a 63 Ricky Scarborough (Capt. Rob Mahoney) rounded out the top five, also with 15 billfish to its credit. No blue marlin were boated this week, so the teams earned release points instead. Mister Pete, a 58 C&L (Capt. 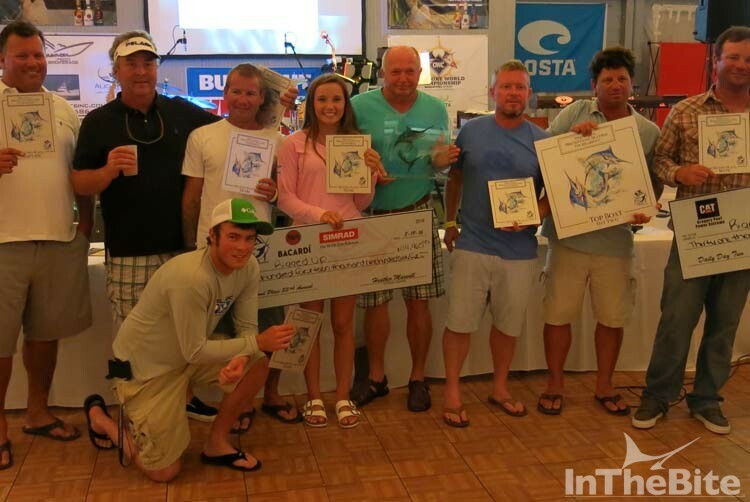 Alan Neiford) won $84,420 in the Costa See What’s Out There Heaviest Blue Marlin Division with three blues released. Deep Blue, a 52 Buddy Davis (Capt. Josh Reason), came in second, also with three fish, to take home $36,180 in prize money. 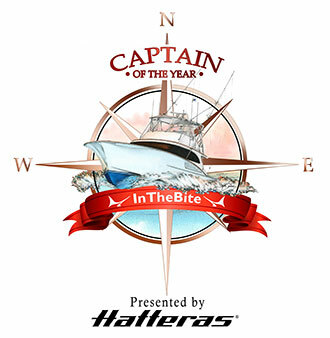 Under the PCBT scoring format, boats can win prize money for the first billfish caught each day, as well as enter the optional daily divisions for most fish. Winners in those categories included Anticipation (61 Paul Spencer), Desperado NC (56 Taylor Made), Electric Bill (53 Jarrett Bay), Hammer Time (54 Paul Spencer), Legacy (58 Bobby Sullivan), Mollie Whopper (46 Merritt), Qualifier (57 Paul Mann), Sea Toy (59 Paul Spencer) and Skirt Chaser (53 Buddy Cannady). Wendy Hayes, fishing aboard Bi-Op-Sea, a 59 Spencer with Capt. Jesse Granitzki, was named the Top Lady Angler for 2016. Hayes released six whites, one blue and two sailfish to earn that distinction. Thirteen-year-old Parker Byrd, guided by Capt. 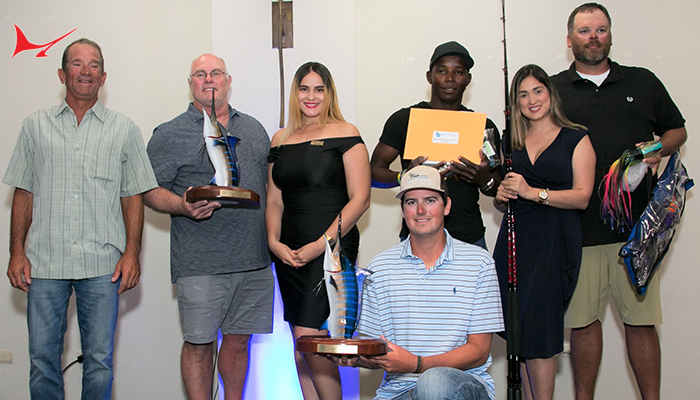 Brynner Parks aboard Smoker, a 58 Irvin Forbes, also released nine billfish (identical to Hayes) to win the Top Junior Angler title. The three game fish divisions—tuna, wahoo and dolphin—paid out $10,200 each for the largest fish of the week. Erik Bush (Reel Rodeo, Capt. John Logan), M. Stokely Holder (Electric Bill/Capt. Phllip Fender) and Russ Parker (My Three Sons/Capt. Michael Mattson) were the top winners with 72.3 pounds, 56.8 pounds and 33.3 pounds, respectively. 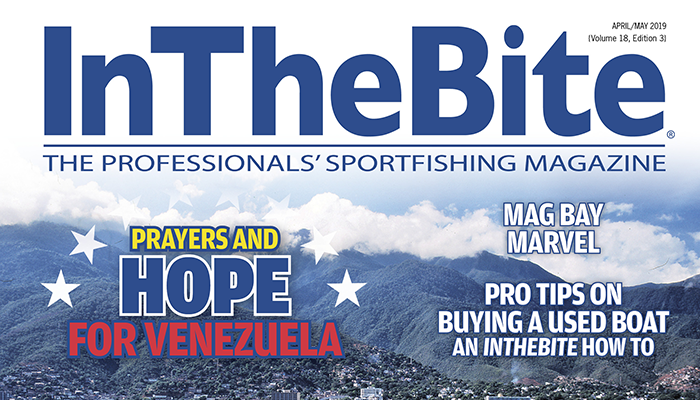 For the week, a total of 520 billfish were caught and released by the 72-boat fleet. None were boated. The cumulative numbers included 277 sailfish, 203 white marlin and 40 blue marlin. The 2017 Alice Kelly Memorial Ladies Only Billfish Tournament will be held August 12-13, 2017 at the Pirate’s Cove Marina and Resort. The 34th Annual Pirate’s Cove Billfish Tournament follows from August 14-18, 2017 at the same location.